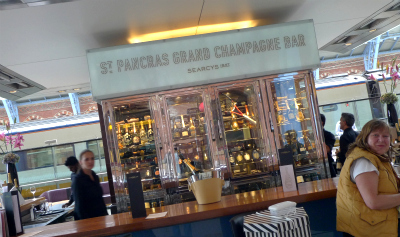 The Grand Champagne Bar, situated inside St. Pancras International station, affords wonderful views of pretty much the entire building, in all its fine Victorian splendour. And to think it was almost torn down in the 1960s. 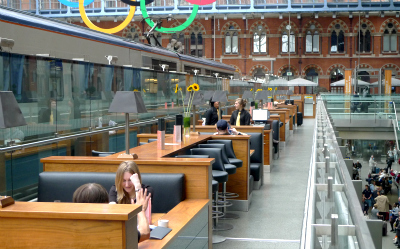 It's billed as being the longest champagne bar in Europe (at 90 metres), which might have you thinking the bar top extends for the length of more than a few train carriages. It seems, however, that in this case "bar" refers to all the tables and seats, not the actual bar top itself (which is about three metres long). 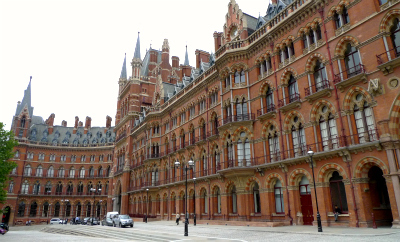 The St. Pancras Grand Champagne Bar is perfectly positioned for drinkers to be able to admire the station's unquestionable exquisiteness, with the stunning roof of the Barlow train shed curving majestically overhead. Positioned alongside the tracks, you'll also be able to see all the Eurostar trains rolling in and out. 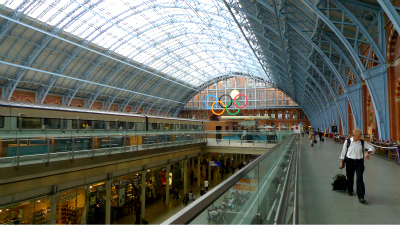 The station itself underwent a massive refit several years ago, at a cost of £800 million. A fair few quid was evidently spend on the Grand Champagne Bar, and whether you've got some time to pass before you jump on your Paris/Brussels-bound train, or are waiting for a friend to arrive from the French capital (or Belgian), you might want to check it out. 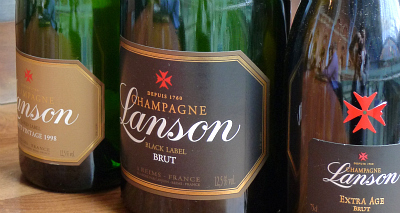 With 20 styles of bubbly available, you shouldn't have too much difficulty in finding something to suit your taste - if in doubt, simply consult the sommelier. Bottles are pricey, of course, but a glass of the stuff shouldn't break the bank. Order a few nibbles to line your stomach and you've got the makings of a pleasant hour or three. Seating comes in the form of booths (for up to six). As the bar and seating is somewhat on the exposed side, it might get a bit parky in the winter. The booths are heated, but on a particularly cold day, you might still find your nose turning blue (if the champagne doesn't turn it red first). Why? Bubbly in surroundings like these is a rare possibility.